Email, its convenience and its hazards. The Nigerian check scam has been around for a long time but still snares the unwary. 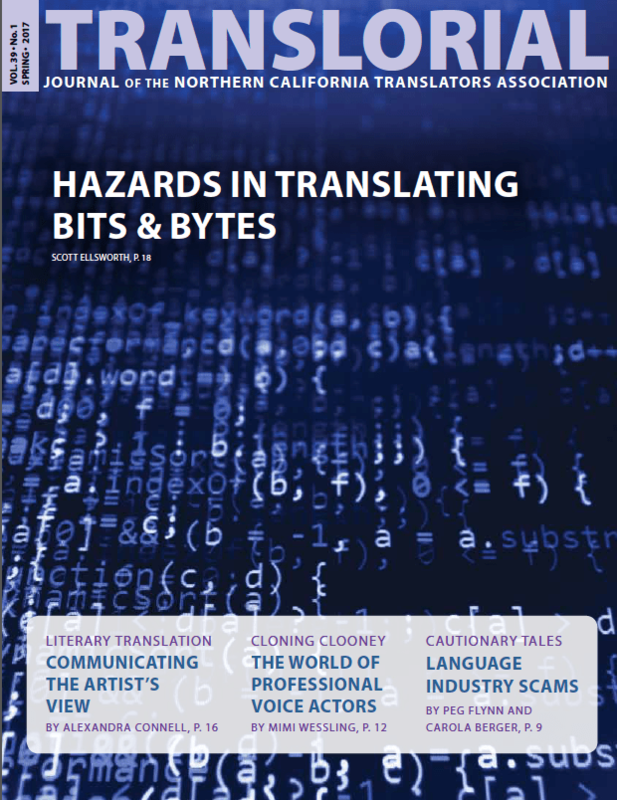 Another way that translators get scammed involves translator impersonation. The article includes tips to protect your identity and your business as well as information on what to do if you are being scammed. Director Paul Mariano and producer Kurt Norton presented their documentary film Being George Clooney in person at the February 11th General Meeting. The film pulled us into a world most of us hadn’t thought about very deeply: one related to translation but particularly related to interpretation —voice acting (often referred to as dubbing). A special workshop was held at Golden Gate University, San Francisco on October 1, 2016 for NCTA members who wanted to learn more about memoQ, a computer-assisted translation (CAT) application developed by Kilgray Translation Technologies. The Introduction to Literary Translation workshop on Mar. 4, 2017 was guided by Katrina Dodson, translator of The Complete Stories by Clarice Lispector (New Directions, 2015) and other works from Portuguese to English. I once translated a description and instructions for a computer game — the game was based on a post-apocalyptic scenario that involved fighting various kinds of radiation-mutated monsters. translorial posted this article under Announcements, Book Review, Education, Interpretation, Literary Translation, Movie Review, NCTA Events, NCTA Meetings, Scams, Worthy of a Visit	on Monday, May 1st, 2017 at 2:29 am	You can follow any responses to this entry through the RSS 2.0 feed. You can leave a comment or trackback from your own site.